Located at the Gateway to the Sandhills in Ericson, Nebraska, Lake Ericson offers the finest Sandhills beauty to be found. Grab your family and come get immersed in the great oudoors. You'll quickly find out that fun is in our nature. Would you like to make a contribution to our efforts to repair recent storm damage we sustained at Lake Ericson? We're now able to accept PayPal donations! 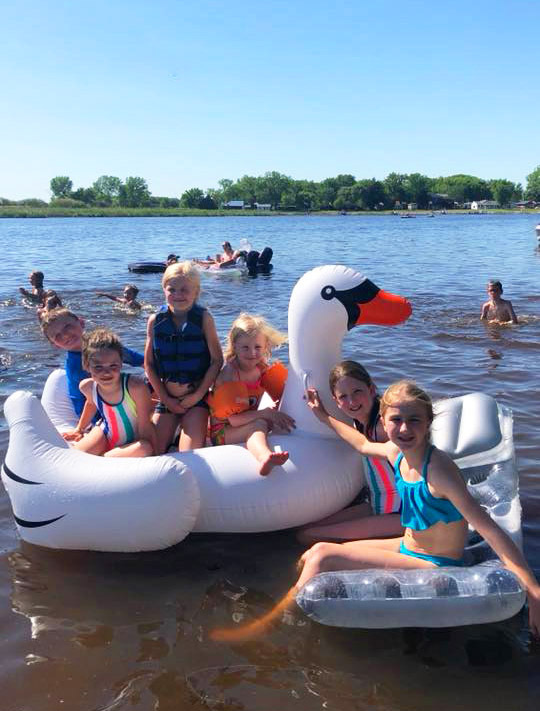 At Lake Ericson, we've turned lake days into a lifestyle. We think that getting out there and enjoying life is truly what it's all about, and we've earned a reputation for being a rural treasure trove of good fishing, good company, and "dam" good times. So jump on in, friends. What are you "wading" for? 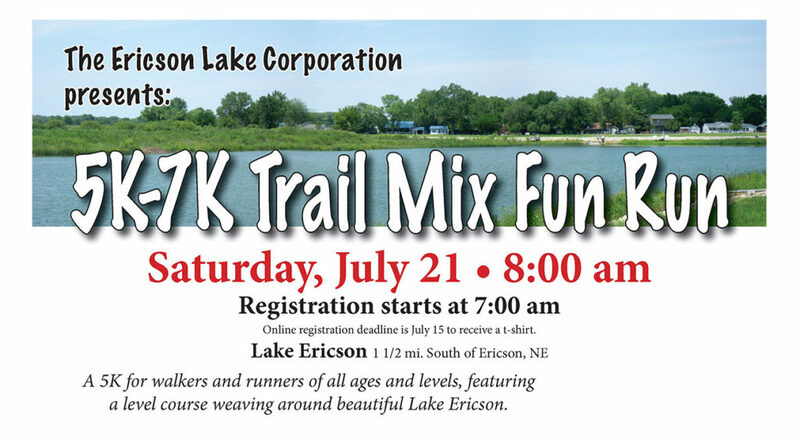 Beautiful Lake Ericson's scenic trails and pristine water offer you the opportunity to be fully immersed in nature. Whatever your idea of the "perfect day" is, you can find it here. 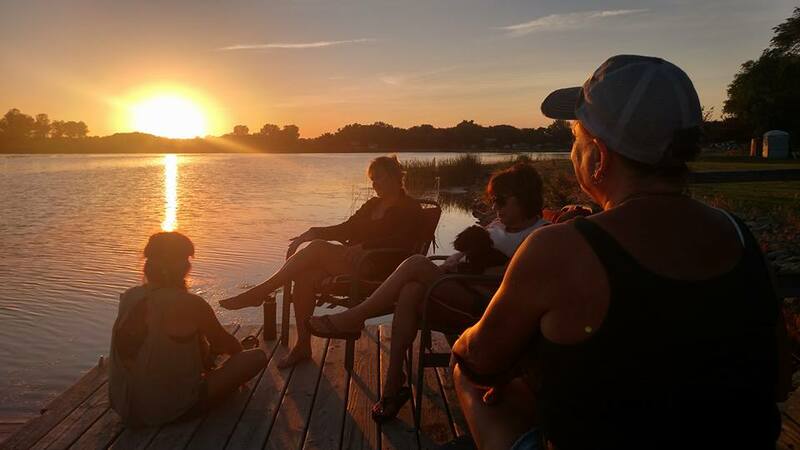 From serene afternoon strolls, spectacular bird-watching, and relaxing sun-soaked naps on the beach to exciting fishing expeditions, hiking, biking, boating, swimming, and some of the best waterfowl hunting around. 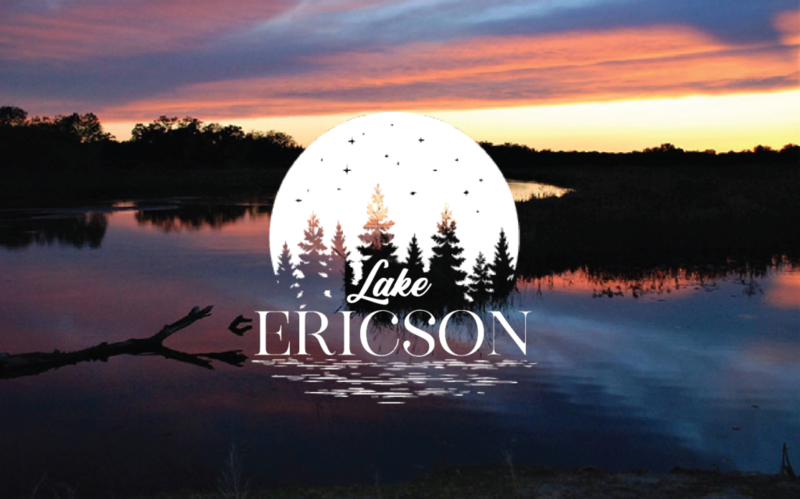 Lake Ericson is a small community, but we love our little slice of heaven, and we love sharing it with others who live for chasing adventure and making memories. We might be biased, but the sun just seems brighter and the air just seems fresher out here. 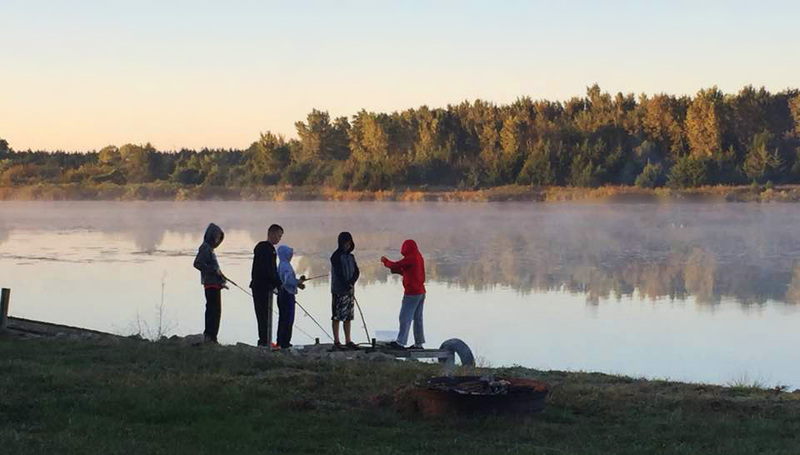 At Lake Ericson, you can dig in and explore, enjoy some R&R, or both! The beauty of Lake Ericson (aside from the obvious) is that your stay can be as lively or as laid-back as you want it to be. Here, it's all about great times and great company in the great outdoors. Get the scoop on all the updates from our little community! Locals, be sure to check out the "News Blog" page to stay up to date with more happenings and events as well as the community calendar! Trail Mix Fun Run 2018! The 2018 Trail Mix Fun Run is fast approaching!! Make sure you register online by July 15th to get a t-shirt! Check out our new website! We worked with Applied Connective Technologies to get it off the ground! Leave us your email address, and we’ll add you to our contact list for news and updates.